What's this? 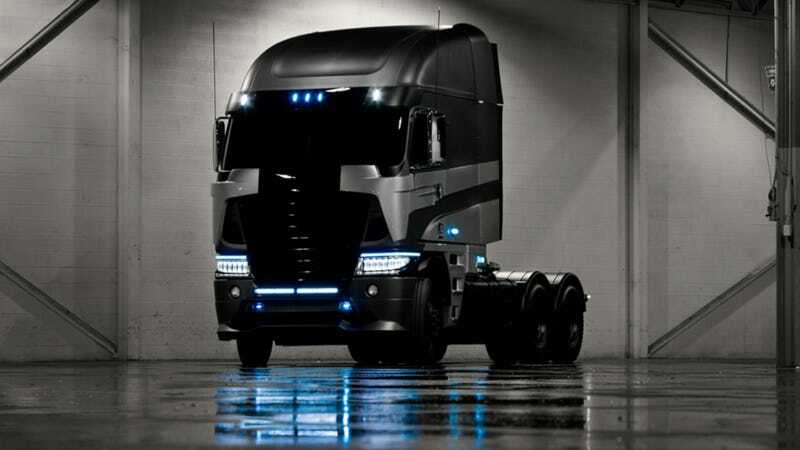 Some kind of evil-looking Freightliner truck in Transformers 4? How will it fit into the film's presumably intricate plot? Will it be friend or foe? This new photo of a 2014 Freightliner surfaced on Michael Bay's website with no details as to how it will figure into the next film. Usually, the car-based Autobots are the good guys, but that black color scheme — and the fact that it's a semi like the redesigned Optimus Prime — makes me lean towards Decepticon here. Anyone who's more up on Transformers lore than I am care to venture a guess?